Spinner tokens are a fascinating avenue of collecting exonumia. These tokens are made to be spun upon a flat service, with an arrow or pointing device. 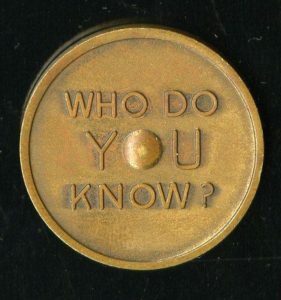 These advertising tokens were, more often than not, used to help determine who would buy a round of drinks at the local watering hole. Cutco was the primary brand of knifes manufactured by the Alcas Corporation. Founded in in 1949 as a partnership between Aluminum Company of America and the Case Cutlery Company, the company is headquartered in Olean, New York. Alcoa bought out Case in 1972 and the management of Alcas bought the company from Alcoa in 1982. The company changed its name to Cutco in 2009. REVERSE: WHO DO / YOU / KNOW? It’s definitely a very interesting piece and one of the more unusal designs we have come across. Does anyone know the meaning of the STP letters at the bottom of the reverse? 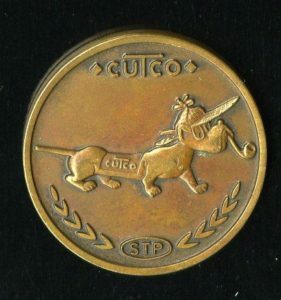 Was the dachshund the mascot for Cutco? 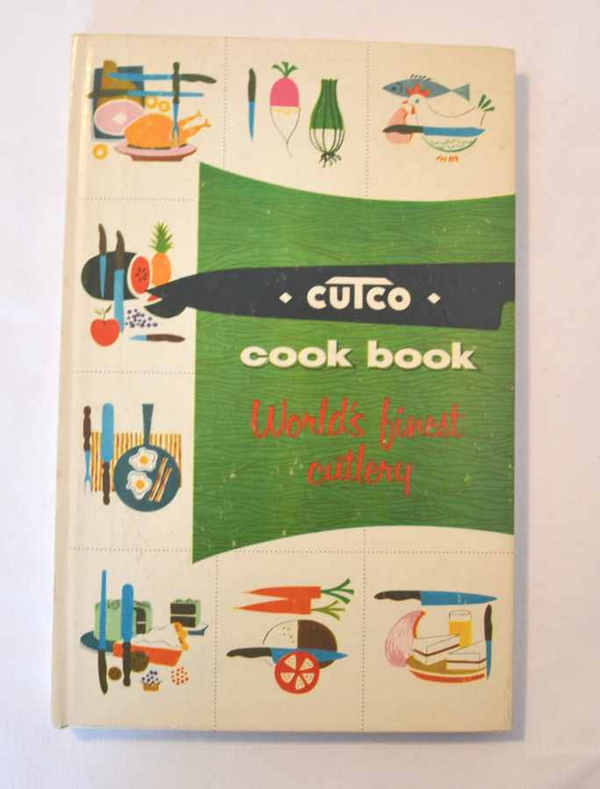 Cutco did produce many different varieties of cook books, like the one below.